VW’s diesel-gate subsidiary Electrify America announced the collaboration with nine additional companies to host more than 30 fast EV charging stations across the U.S. More than 20 of these will be located in California with another six states being added. 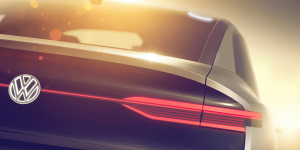 Volkswagen’s subsidiary Electrify America has provided details of the second phase of its US-wide charging infrastructure build-up plan, which includes $300 million in investment over 30 months, the implementation of which will begin in July 2019. Volkswagen’s redemption subsidiary for diesel gate, Electrify America has made a surprise announcement on cooperation with Tesla. 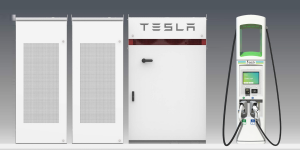 Throughout this year, Electrify America plan to equip 100 charging station across 42 states with stationary energy storage systems by Tesla. Purchasers of the electric Porsche Taycan will be allowed to use Electrify America fast-charging stations for up to 30 minutes for free for a three year period. The corresponding agreement between Porsche and the VW subsidiary was just announced. Several major charging infrastructure providers have shut down their High Power Chargers over the past two days to investigate a potential safety issue with Huber+Suhner’s liquid-cooled charging cables. Extensive safety testing is unfolding as you read. 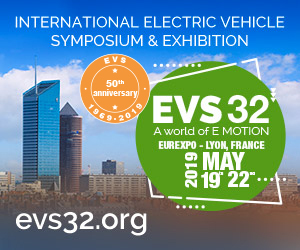 The Volkswagen subsidiary founded to build charging infrastructure as a consequence of the diesel scandal has struck deals with the infrastructure providers EV Connect, Greenlots and SemaConnect to set up network interoperability. Volkswagen has kicked-off a new campaign promoting electric vehicles in the USA. But it is not just their electric cars that are featured but EVs of 5 different brands (all but one). Why? Because they must as part of Electrify America, VW’s court-mandated effort. The VW subsidiary founded in the wake of the diesel scandal has announced plans to open an EV car sharing service in Sacramento, starting with 260 vehicles. The company is also investing in a budget car-sharing service and electric buses in the region for a total amount of $44 million. The VW subsidiary has contracted both Black & Veatch and the SAI Group to design and manage their EV ultra-fast charging stations at highway and community locations across the USA. They will be deploying more than 2,000 DC chargers across 484 sites. According to a VW manager, Volkswagen is ready to sign a major cooperation agreement with Uber’s equivalent in China, Didi Chuxing. Furthermore, VW subsidiary Electrify America has a new managing director. 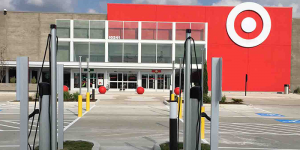 Tesla, ChargePoint and Electrify America have all agreed to work with U.S. discount store chain Target to install EV charging infrastructure at its locations across the USA. The deal includes 100 sites in 20 states. 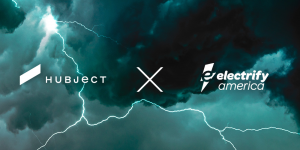 Electrify America, Volkswagen’s outlet to do penance for the diesel fraud, has chosen its “partners in crime” to set up the demanded charging infrastructure. Four companies will help to install more than 2,000 DC charging stations across the States. VW subsidiary Electrify America has turned to U.S. company Greenlots as it seeks to utilise their operating platform Sky. 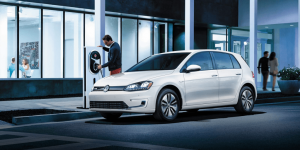 VW must install fast-charging infrastructure across the States following diesel-gate. Volkswagen’s diesel-gate unit Electrify America plans to install 2,800 EV charging stations in 17 of the largest U.S. cities by June 2019. Supercharger, Romania, Electrify America, BYD, Korea. Tesla’s first XL Supercharger stations with 20 charging points are soon opening in Albany, New York and Burbank, California. 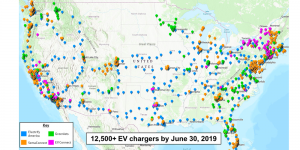 The installation of significantly bigger charging stations represents the EV maker’s current strategy for the States but also a readiness for the Model 3 roll-out. 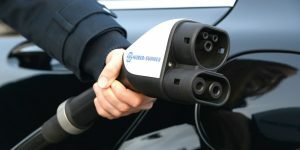 40 charging stations for Romania: E.ON Romania and Hungarian MOL agreed on erecting 40 EV charging stations in Romania until 2020. The project partners count on support through European funds. 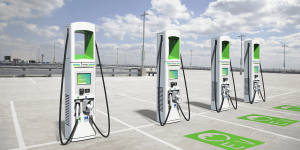 Debut of VW’s infrastructure project in the U.S.: Volkswagen has started the installation of its charging network in the States, following the company’s court settlement for the diesel-gate. 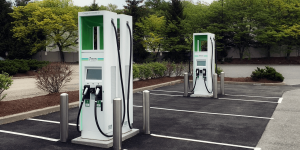 The first quick charging station under the label “Electrify America” recently opened in Washington D.C. and marks the beginning of the first stage, that will see 50 DC charger installed in 10 cities until September. BYD enters partnerships in Chile: Chinese BYD has signed an agreement with Enel Chile in order to deliver 90 electric buses to the Latin American country. Additionally, the company teams up with the Federico Santa María Technical University as both seek to improve the education of teachers and students when it comes to EV tech and to support electric mobility research. Korea halves EV’s toll charges: The country’s transport ministry intends to halve highway toll charges for EVs and FCVs from September to boost EV sales. Korea’s government raised its electric mobility objectives generally and now wants 1.5m electrified cars to populate the country’s roads by 2020. Electrify America, H2ME, BYD, Nissan, eVolt. Electrify America: VW’s 2bn dollar settlement on dieselgate will be managed by a dedicated EV infrastructure subsidiary owned by Volkswagen Group of America. It is to manage the installation of more than 300 EV charging stations in 15 metropolitan regions and another 200 to form a high-speed, cross-country network. Furthermore, VW will set up the ‘Green City’ initiative in California that will see electric car sharing or a ZEV shuttle or transit programme. Investments of 500m dollars are due every 30 months and have to be approved by EPA and CARB. 100 FCV are on the road and got there through the Hydrogen Mobility Europe (H2ME) project. They deployed 60 Renault Kangoo ZE-H2 in France and England as well as another 40 Mercedes B-series F-Cell in Germany. The fuel cell cars are the first 100 of 1,230 to come via H2ME. E-bus trial a success: For BYD, an electric bus trial at Sydney Airport bears fruit as the ground transport provider Carbridge now ordered another 40 shuttles. The BYD Electric Blu bus can carry 70 passengers, comes with luggage storage racks and ranges 248 miles on a single charge. eNV200 on security duty: North East Lincolnshire Council has added eleven Nissan eNV200 to its security and neighbourhood operations fleet. They replaced its diesel-powered vehicles as the council plans to become the UK energy capital by 2032. Leaf on duty, too: eVolt has installed three rapid chargers for a Scottish taxi business to charge its five Nissan Leaf EVs, which are now ready for hire in Kirkcaldy.